In this week’s episode of Warrior of the Week, TickPick is proud to honor Justin Clapsaddle. 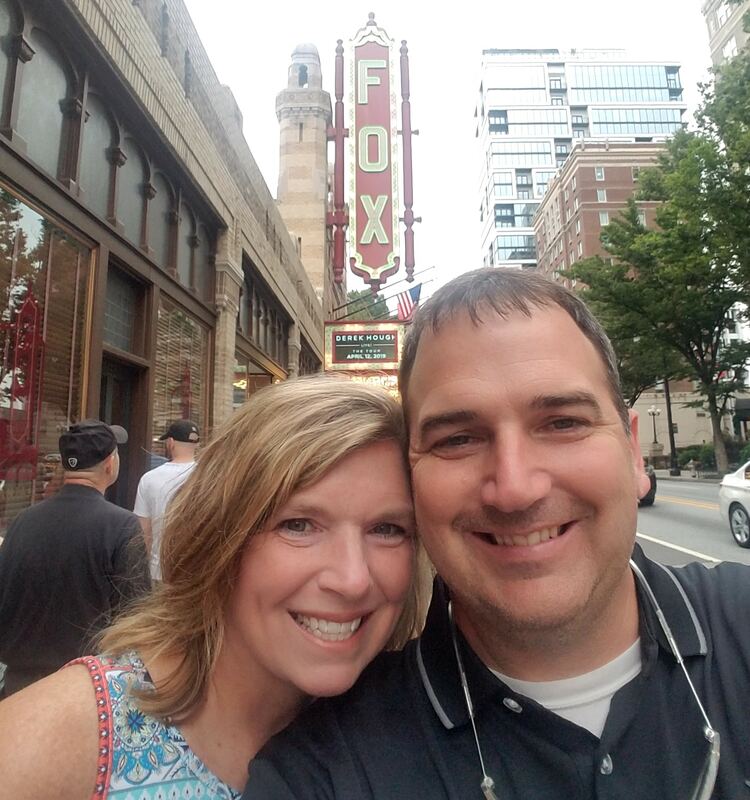 We are incredibly grateful for Justin’s service, and honored to send him tickets to see Brit Floyd! My name is Justin Clapsaddle. I enlisted in the Army out of high school and was fortunate to be assigned to the 3/73 Armor Battalion within the 82nd Airborne Division. After two years as a paratrooper, I was selected to attend the United States Military Academy Preparatory School at Ft. Monmouth, NJ. Upon graduation from USMAPS, I received an appointment to the United States Military Academy. I left USMA following my plebe year and enrolled at Western Carolina University where I graduated with honors. Always drawn to service, I chose to major in middle grades education. For over 15 years, I have worked with numerous students to help develop them as responsible young citizens. As a classroom teacher, coach, and school administrator, I encourage students to follow a path of servant leadership and respect towards all people. My proudest accomplishment is a 21 year marriage to Tiffany and raising our three children Bryce, Aubrey, and Garrett. Five years ago, I began pursuing the hobby of knife making. Thanks to help of some hard work and a great mentor, Mike Wilson, my knives have grown in popularity. I decided to start a business. I reached out to my friend, Jason Van Camp, and Clapsaddle Custom Knives (CCK) was born. of making hunting and tactical knives that were artistically functional. As time progressed, we are beginning to make knives out of U.S. Military vehicles that were destroyed in combat. For example, we have metal from a Sherman tank that fought in the Battle of the Bulge. We also have metal from Humvees that were destroyed by IEDs in Iraq and Afghanistan. Imagine owning a knife with such a history! CCK only uses American born steel for our blades and each knife is hand ground in our shop. We personally select the materials used for our handles and in some cases even produce our own handle material. Additionally, we make every knife sheath specifically for each individual knife. The sheaths are cut, tooled, and sewn all by hand. Our mission is to make a knife that is functional, but one of heirloom quality that will be a treasured for generations. Please consider supporting Clapsaddle Custom Knives.